If you want to cite a product which changed the dynamics of an entire industry, then look no further than Apple’s Airpods. The Cupertino giant, popularly known for its iPhones and MacBooks managed to carve a niche for itself in the audio space by launching the AirPods, which to date are one of the most popular truly wireless earphones. While many manufacturers followed into Apple’s footsteps immediately, most big-name brands took their sweet time to perfect the craft of designing a pair of truly wireless earphones. 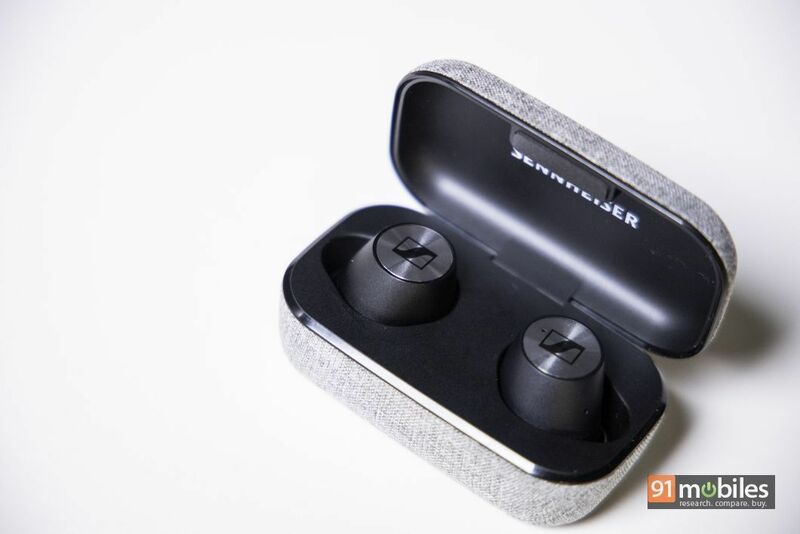 One such manufacturer is audio giant Sennheiser which is finally entering the segment with the Momentum Truly Wireless earbuds. I managed to get my hands on a pair and here’s what I make of it. Update: A Sennheiser rep has confirmed that the Momentum True Wireless ship with IPX4 splashproof certification. Therefore, you can use them in the gym without worrying about damaging the earbuds. 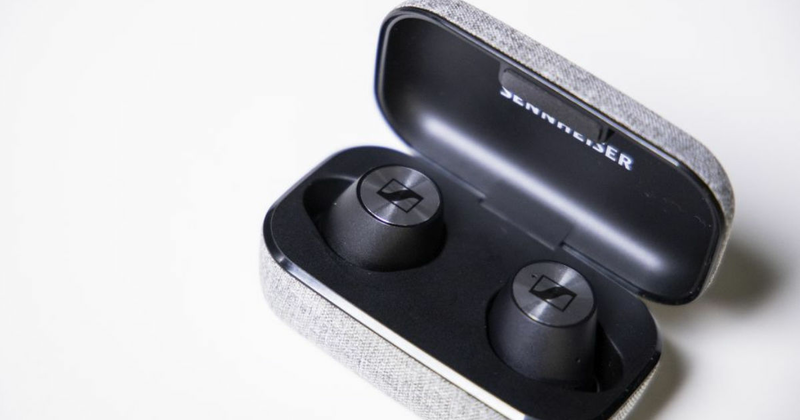 The Sennheiser Momentum Truly Wireless’ price isn’t for the faint of heart. And, let’s be honest, the name is a mouthful too, so I’ll just refer to the earbuds as MTWs. Now, during the company’s press briefing, I was informed that the brand is positioning the MTWs as a lifestyle product. Therefore, as good as the pair sounds, the MTWs get top marks in the design department too. Simply put, the earphones are a looker and you’ll get the sense you’ve invested your money in a premium product from the second you unbox it. Much like most other truly wireless earbuds, the MTWs too come bundled inside a carrying case which doubles up as a battery bank. 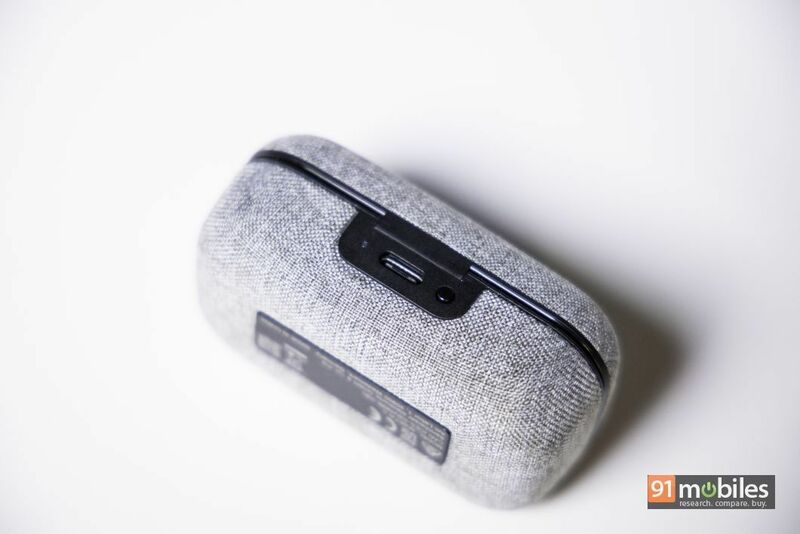 However, Sennheiser has wrapped the case in a fabric-esque material, the likes of which you might’ve seen on the Google Home Mini. The material feels soft to the touch and from a distance, the case resembles a tiny artsy box which is used for decoration. Now, I can’t attest to the wear and tear of the fabric material as I’ve only had the earbuds for a week. But, as it stands, I haven’t seen any scuffs on the unit. Moreover, the company is using the latest USB Type-C standard for charging, which meant having to carry one less cable in my bag whenever I was travelling with the earbuds. The case also features magnetic locks on the inside which fasten the earpieces securely and it snaps shut just as firmly too. The earbuds too sport a classy design, albeit are quite chunky. The company has constructed the pair mostly using plastic, which helps keep their weight down. 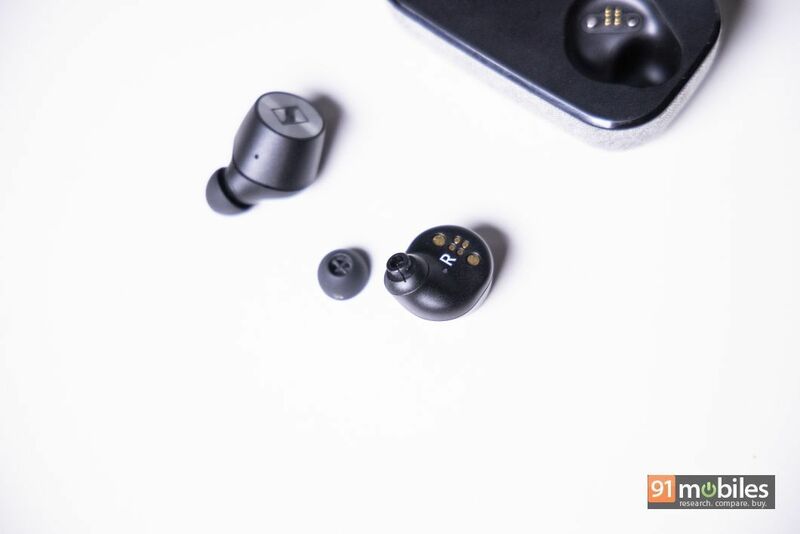 That being said, you do get a shiny metal plate towards the front of the earbuds which features concentric rings along with the company’s logo etched in the centre. 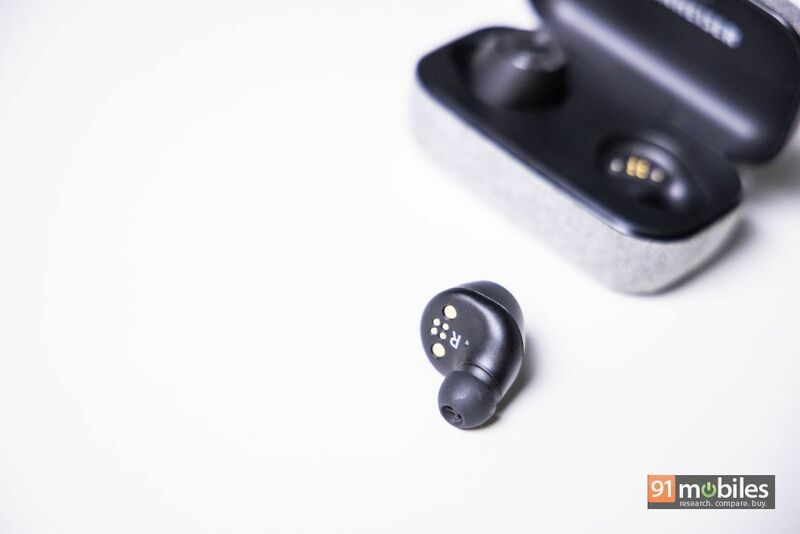 Suffice it to say, the earbuds fall in line with the case’s premium aesthetic and you’ll be hard-pressed to find a pair of better looking truly wireless earbuds in the market. 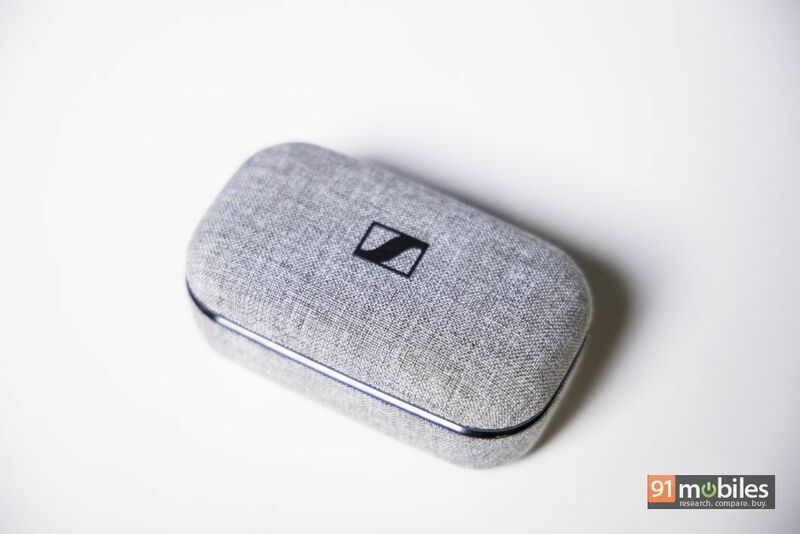 While the design of the Sennheiser MTWs is top notch, what impressed me the most is the pair’s sound quality which simply put, is the best in its class. Inside each earpiece is a 7mm dynamic driver which can operate across a frequency range of 5Hz to 21KHz. Moreover, barring the standard SBC and AAC audio profiles, the MTWs also come with support for Qualcomm’s aptX and aptX Low Latency codecs. 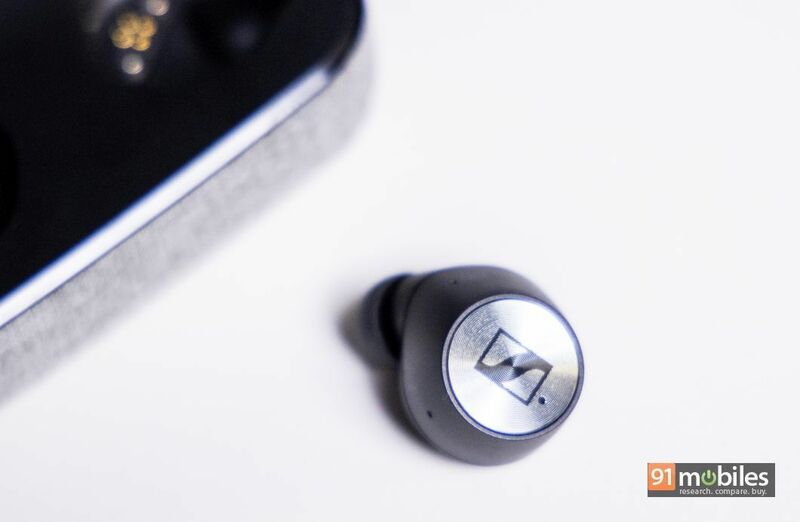 Taking the specs into account along with the reliability offered by Bluetooth v5.0, I never felt the urge to take a break from Sennheiser’s MTWs. The earphones offer a meaty punch in the low-end which made songs from the EDM/Hip-hop genre pop in my ears. The clarity in a singer’s voice was evident when I switched to some acoustic blues too, and the MTWs managed to canvas the entire vocal range of my favourite artists comfortably. The highs sounded energetic and sparkly, although not in the same vein as say, the KZ ZS6 (review), which is a good thing as there were no sudden treble spikes whatsoever. Make no mistake, the MTWs aren’t ‘reference-class’ as the earbuds do have a coloured sound signature which favours the low-end. 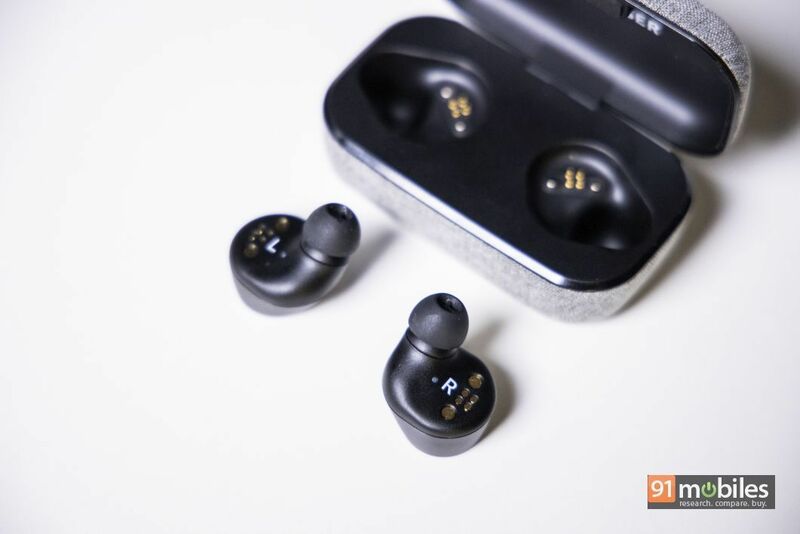 However, provided you’re not an audio purist, you’ll revel listening to your playlists on the earphones – they’re just clearer, more refined and clinical in their delivery than any other truly wireless earphones. And, for a pair of in-ear type headphones, the MTWs offer a surprisingly wide soundstage too, which will encapsulate you in your music. I’d also like to add that the earphones boast superb imaging and have a really tight attack with minimal decay. Therefore, you won’t get the sense that you’re stuck on a note whilst listening to music on the buds. If you’re worried about background noise drowning your music, then fret not. The MTWs get really loud and the silicon ear tips manage to create a fantastic seal in the ear, ensuring that nothing gets between you and your music. Going by the earbud’s chunky size, you’d be wise to assume that the unit offers a solid battery backup. 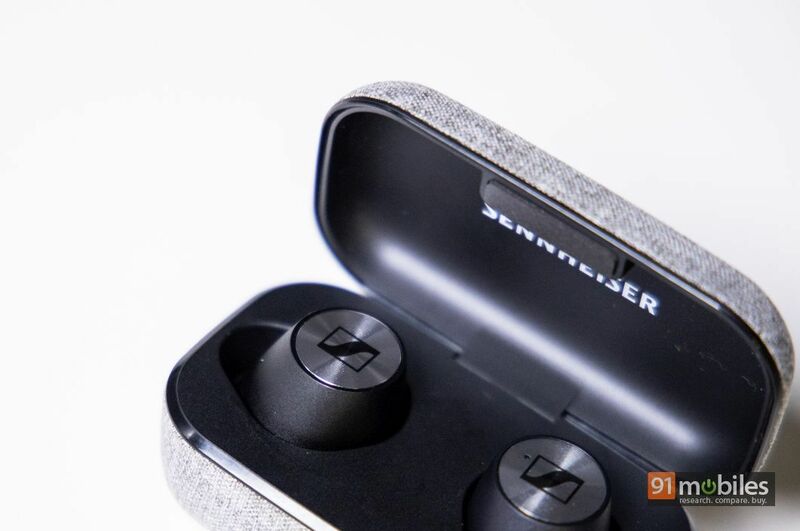 Sennheiser claims that you’ll be able to get four hours of music playback (not counting the charging case) off a single charge, which lined up with my test results too, so no complaints here. As you might’ve guessed, the Sennheiser MTWs ship with a companion app which is available for both Android as well as iOS users. The app looks slick, albeit isn’t loaded with features like Jabra’s Sound+ app. That said, you do get the option to tweak the earbuds EQ and play with some nifty features like Smart Pause, which halts the audio playback if you take the earbuds out of your ears. As gorgeous as the case for the MTWs is, it’s fairly chunky and not very portable. Moreover, since you cannot turn the earbuds on or off without the case (taking them out of the case powers the MTWs on and vice-versa), you’ll always have to carry it on you. Consequently, I was always walking with a bulge in my pockets which felt awkward and uncomfortable. Going by the case’s size, I hoped it would offer a stellar battery backup. Much to my disappointment, the dock adds just eight hours of battery life to the MTWs which pales in comparison to the competition. 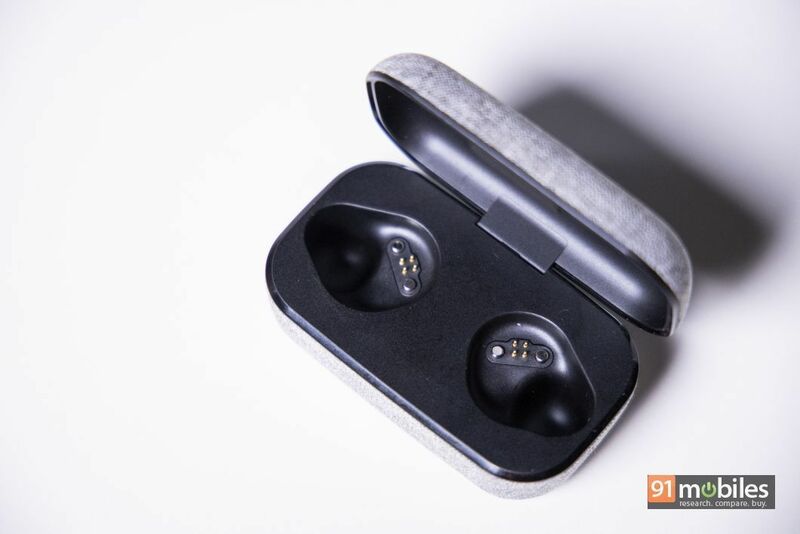 To give you a better picture, the Apple AirPods offer a battery life of almost 24 hours with the case, while Jabra’s Elite 65t Active (review) offers close to 15 hours. Adding to my woes, despite their stellar sound, the MTWs aren’t the most comfortable pair of earbuds in the market. At a stretch, I could listen to music for about 45 minutes on the unit before the earbuds would start to bite my ears. And, while the company states that the earbuds are IPX4 rated on its website, I was told that the earbuds carry no official IP rating. I’ve reached out to Sennheiser for clarification on the same but If I were in your shoes, I would think twice before sweating it out in the gym with the MTWs in my ears. Then, there are the touch controls, which are extremely finicky, confusing and seldom register properly. Now, I understand that there’s only so much space on the earbuds and therefore, it’s impossible to furnish the unit with physical buttons. But, instead of using ‘taps’ to toggle the virtual assistant, go back or forward a track and increase/decrease the volume, the company could’ve used a slightly better control scheme. For instance, I much prefer Sony’s implementation of sliding gesture controls on its WH-1000xM3 (review) headphone and I feel that Sennheiser could take a page from the Japanese giant’s book. Although the MTWs retained a rock-solid connection to my smartphone, I couldn’t connect the unit to two devices simultaneously. Therefore, if I was listening to music on my phone and wanted to watch a clip on YouTube on my laptop, I had to disconnect the MTWs from my phone first and then connect them to my laptop. To the company’s credit, the process only takes a few seconds at most, but since the pair supports Bluetooth v5.0, I would’ve appreciated the added flexibility of switching between two devices on a whim. The Sennheiser Momentum True Wireless retails for Rs 24,999 and therein lies its problem. 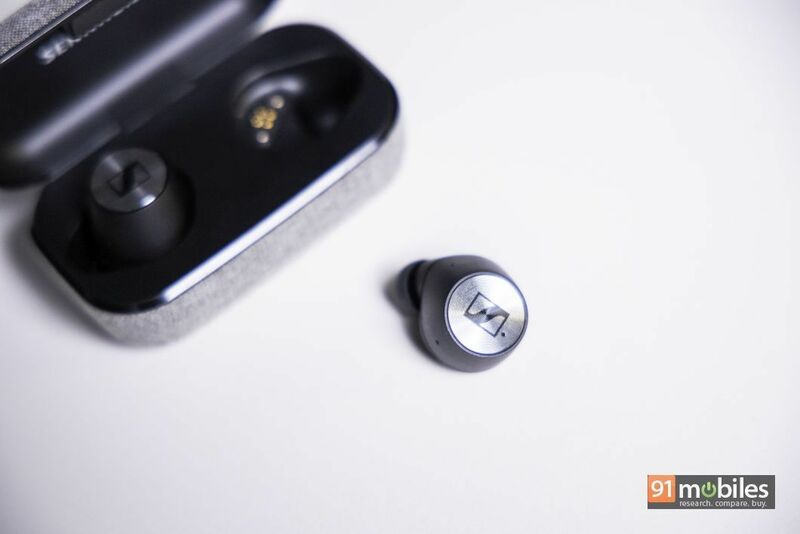 While the earbuds blow the competition out of the water in terms of audio performance, they are mired with the same issues which have plagued Bluetooth earbuds for ages. 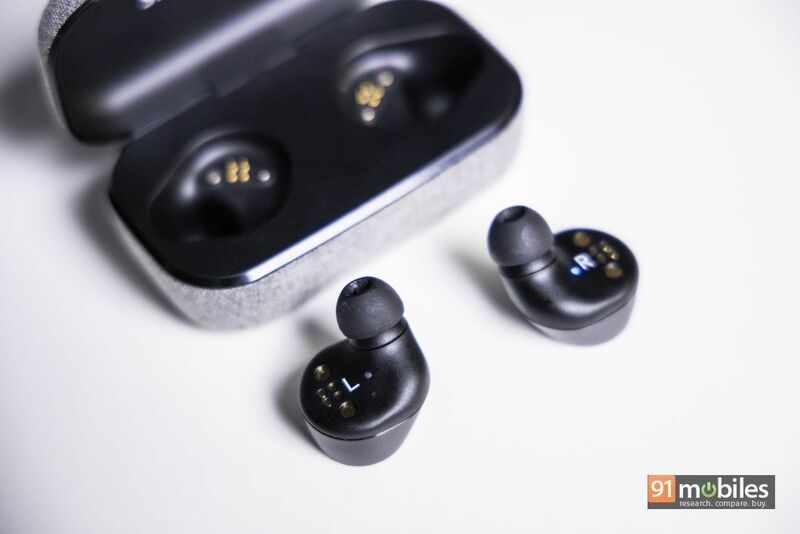 Moreover, unlike the competition, the lack of official IP certification and the earphone’s chunky build also limits where you can use the MTWs. That said, I cannot emphasise just how good the Momentum True Wireless sounds. The question is, are you willing to put up with the annoyances and the earphones’ high MRP to get the absolute best in Bluetooth sound quality? That’s something I’ll let you and your bank statement decide.